Orange has proven to be a stimulus of the sexual organs. Also, it can be beneficial to the digestive system and can strengthen the immune system. Orange is also stimulating to the appetite. Many restaurants use pastel versions of orange for their décor as they are more subtle than red, yet still increase the appetite and promote conversation and social interaction. Orange also increases physical energy. Orange has shown to have only positive effects on emotional states. This color relieves feelings of self-pity, lack of self-worth and unwillingness to forgive. Orange opens your emotions and is a terrific antidepressant. The color orange is associated with social interaction, optimism, enthusiasm, cheerfulness, self-confidence, flamboyance, adventure, risk-taking, self-indulgence, pride, informality, cheapness, warm-heartedness, youthfulness, impulsiveness, competition, independence and spontaneity. In Canada, orange is the color of the New Democratic Party (NDP), a social-democratic party. Most social-democratic parties around the world use red or pink, but in Canada the color red was already long associated with the Liberals when the NDP was founded. In Buddhism, orange was the color of illumination, the highest state of perfection. The saffron colors of robes to be worn by monks were defined by the Buddha himself and his followers in the 5th century BC. The robe and its color is a sign of renunciation of the outside world and commitment to the order. According to Confucianism, existence was governed by the interaction of the male active principle, the yang, and the female passive principle, the yin. Yellow was the color of perfection and nobility; red was the color of happiness and power. Yellow and red were compared to light and fire, spirituality and sensuality, seemingly opposite but really complementary. Out of the interaction between the two came orange, the color of transformation. Orange, or more specifically deep saffron, is the most sacred color of Hinduism. Most Wiccans use an orange candle in rituals to represent activity, change and dynamism. It can also be used to cleanse negativity. 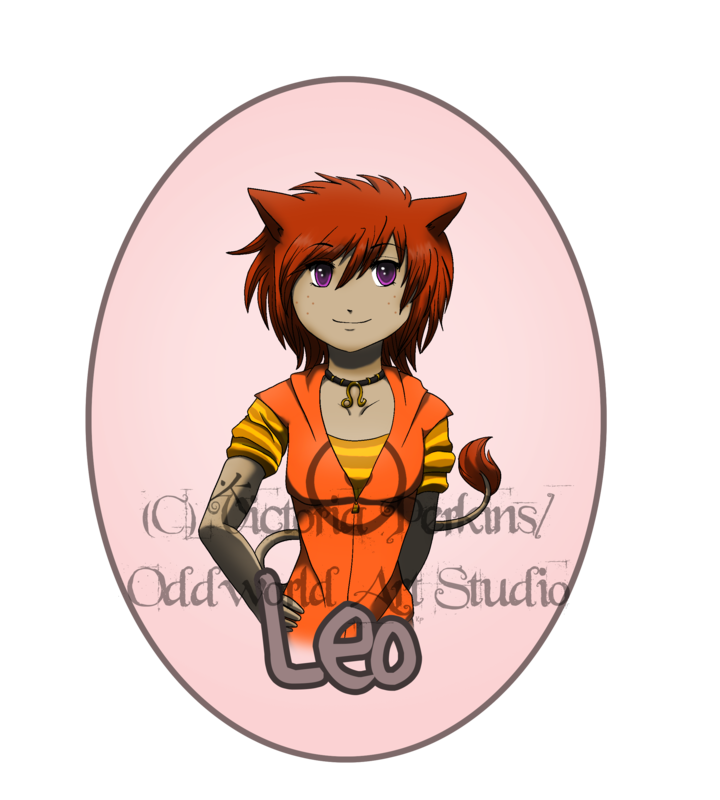 Orange is associated with the astrological sign Leo. The signs of the Rooster, Tiger and Dragon in the Chinese Zodiac are also associated with orange. In chakra work, orange is the color of the Sacral Chakra and is located in the lower abdomen. It is associated with confidence and sexual function. Archangels Cassiel and Chamuel are also sometimes associated with orange. Orange is also associated with the Sun, gold, and the musical note D.
I decided to also talk about the color brown in this post. While it is usually considered its own color, it is technically a very dark, muted shade of orange. Brown is a predominant color on the planet, along with green. Brown is comforting and stabilizing – just what we all need to help us deal with the stresses of modern life. The color brown gives reassurance. Brown is the color of the earth and ultimately home. This color brings feelings of stability and security. Sometimes brown can also be associated with withholding emotion and retreating from the world. Brown is associated with comfort, the earth, home, protection, stability, materialism, wholesomeness, naturalness, security, structure, simplicity, practicality, approachability, friendliness, reliability, strength, sensuality, sensitivity, warmth, dullness, boringness, frugalness, humorlessness, informality, honesty, work, cheapness, dirtiness, predictability, seriousness and duty. Brown has been a popular color for military uniforms since the late 18th century, largely because of its wide availability and low visibility. Brown has been associated with Nazism, because the Sturmabteilung (SA) were called “brownshirts.” In Europe and elsewhere, the color brown is sometimes used to refer to fascists in general. In the Middle Ages, brown robes were worn by monks of the Franciscan order, as a sign of their humility and poverty. In Scottish folklore, Brownies – little household faeries – are said to inhabit houses and aid in tasks around the house. However, they do not like to be seen and will only work at night, traditionally in exchange for small gifts of food. In Wicca, brown is typically used when performing earth magick. It can represent justice, balance, moderation and stability. Brown is associated with the signs Virgo and Capricorn in astrology. In the Chinese Zodiac, the color brown is also attributed to the Ox. Archangel Cassiel is also connected to the color brown. I hope you all enjoyed my little post about the color orange (and brown)! Next week I’ll be writing about the color yellow! But before I go, I shall leave you with an awesome quote from my favorite classical artist. 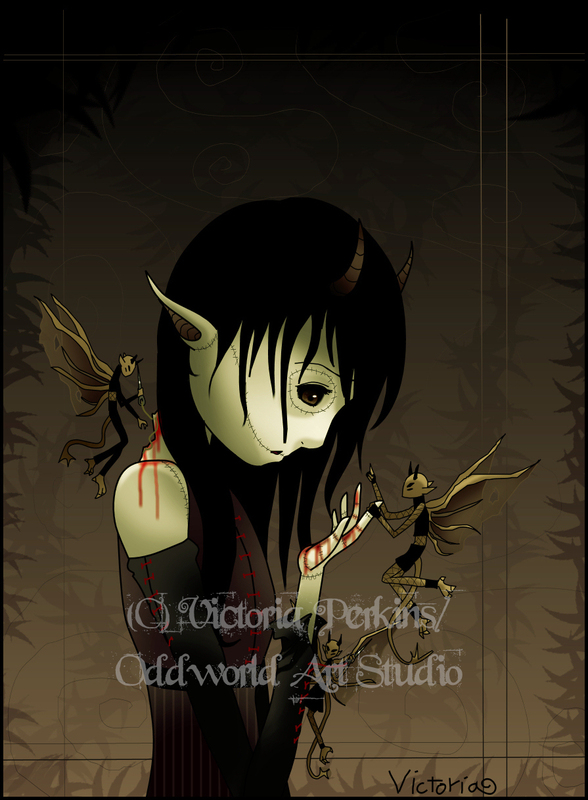 This entry was posted in On Color and tagged art, brown, color, color orange, esoteric, information, magick, odd, oddworld, orange, Physiological Effect, politics, Psychological Effect, spirituality, victoria perkins. Bookmark the permalink.